Who are the leading litigation firms in the Dutch patent market? Which firm has the best European strategy to succeed for the upcoming Unified Patent court. Read our in-depth analysis of the Dutch litigation firms. 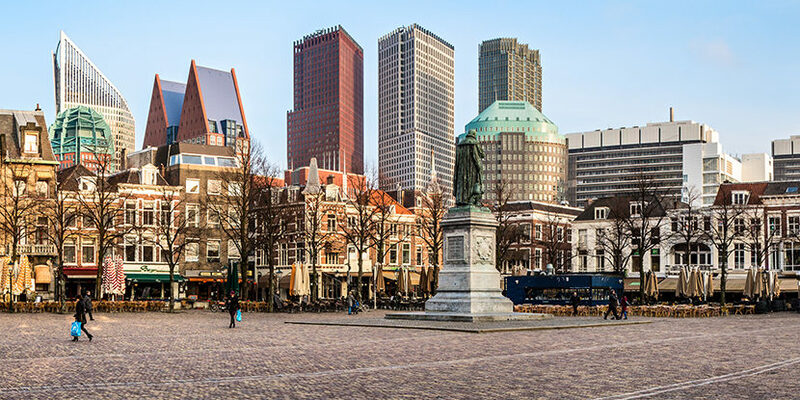 European presence and strategy: The patent team in The Hague is part of a fully integrated litigation team and one of the strongest in Europe. It is active in all relevant UPC locations. In London and Germany it is a market leader. The Dutch team has not yet reached this position but with an excellent market position it is one of the most persistent pursuers of the Dutch market leaders. The Paris team has an excellent reputation as well. In Germany it has a well-known team of patent attorneys who are focused on litigation work. Offices in Europe: The Hague and Amsterdam as well as Brussels, Düsseldorf, Hamburg, London, Luxembourg, Milan, Munich, Paris and Stockholm. Significant clients of the Dutch offices: Frequent litigation for Nokia, Sanofi Pasteur, Teva. European presence and strategy: One of the strongest patent litigation teams in Europe with well-positioned offices in almost all significant UPC locations. Like the German team, the Amsterdam team operates at the top of its market, as recently shown by its involvement in one of the Netherlands’ biggest patent disputes on behalf of Nikon. Nevertheless the Dusseldorf team serves as the base for the worldwide patents group. Unlike other international patent teams, Hogan Lovells already boasts patent expertise in the US. But the firm was somewhat later than competitors in integrating patent attorneys to support litigation work. Offices in Europe: Amsterdam, Düsseldorf, Hamburg, Luxembourg, London, Munich and Paris. Significant clients Amsterdam office: Nikon against ASML/Carl Zeiss concerning semiconductor technology; Eli Lilly concerning Pemetrexed and Tadalafil; AbbVie concerning Humira; HTC against Philips concerning mobile communications; frequent litigation for Merck, BMS and Roche. European presence and strategy: The patents practice of this truly international IP boutique has well-positioned teams in all significant UPC locations across Europe, mainly in Düsseldorf, Munich, Paris and Amsterdam. The Dutch team is one of the market leaders with a long list of well known partners like Willem Hoyng. It is the only Dutch law firm with its own prosecution arm. Early this year the firm strengthened its French office enormously through a merger with top French firm Véron et Associés. Now the IP boutique has an excellent starting position to serve clients in cases before the central divisions. Unlike the other leading European teams, HRM has no office in London and must rely here on its cooperation with network firms, which also work with other independent boutiques. Offices in Europe: Amsterdam, Brussels, Düsseldorf, Lyon, Madrid, Mannheim, Munich and Paris. Significant clients Amsterdam office: ASML/Carl Zeiss SMT against Nikon concerning semiconductor manufacturing technology; frequent litigation for Abbott, Abbvie, AstraZeneca, AkzoNobel, Intel, Pfizer, Philips, Procter & Gamble, Sony. European presence and strategy: This IP boutique in Amsterdam is one of the market leaders for patent disputes in the Netherlands. Through partners such as Richard Ebbink and Mark Van Gardingen, it has a strong presence in the market and is consulted by clients from the life science and technology sectors for litigation. The move to take on board Koen Bijvank – one of the most experienced Dutch patent attorneys in litigation – was closely observed by other firms. This step is in line with the trend toward mixed law firms, as can also be seen in Germany and France, and may pay off even before the UPC starts. Brinkhof is also highly respected in the European patent community. The firm continues to build on its independence in the UPC system, along with its good ties to independent European patent teams in Germany (e.g. Vossius & Partners) and London (e.g. Bristows). Significant clients Amsterdam office: Carl Zeiss against Nikon concerning semiconductor manufacturing technology; Accord against Shire concerning Cinacalcet; Boston Scientific against Edwards Lifesciences concerning heart valves; Heineken against AB Inbev concerning beer products; frequent litigation for Unilever, Sandoz, Wiko. European presence and strategy: This Amsterdam firm has an exclusive focus on IP matters. Besides soft IP and IT law, the patent team is the firm’s mainstay and boasts a good reputation for pharmaceutical disputes for generics manufacturers. Overall it has a strong focus on disputes for clients from the chemistry and life science sectors and combines IP matters with regulatory work. As a national IP boutique – and Vondst is strongly committed to its stand-alone strategy – it has limited opportunities to cooperate with other European boutiques when it comes to cross-border litigation. Therefore the partners will have to recommend themselves primarily through their own expertise in such cases, as well as before the UPC. Significant clients Amsterdam office: Frequent litigation for Teva, Sandoz, Mylan Dura. European presence and strategy: The patent litigation team of this national full-service firm is well known in the Netherlands for pharmaceutical disputes, but it also works on technology cases. Compared to the market leaders the team remains small. The team has its own international network. But like all patent teams in national full-service firms, the BK team will have to coordinate within the firm as a whole if it wants to enter into more exclusive cooperations with other European teams for cross-border cases, or with a view to the UPC. This will not be easy. It is therefore dependent on how much partners can attract this kind of work. Significant clients The Hague office: No details provided. European presence and strategy: The patent team is surprisingly large compared to other full-service law firms. Although not all of the 18 lawyers are exclusively involved in patent litigation, Gertjan Kuipers in particular has an outstanding reputation in the market. In patent disputes the team represents well-known industrial companies with a strong focus on pharmaceutical originators. But time and again it is also the first choice for mobile phone providers. The patent team is involved in the firm’s general litigation practice and therefore has a lot of experience with arbitration. In cross-border disputes, much rests with the appeal of partners such as Kuipers, rather than a fixed international team, because the firm emphasises its independence. Offices in Europe: Amsterdam, Brussels, Frankfurt and London. Significant clients Amsterdam office: JDE against Nestlé and others concerning coffee capsules; Merck against Teva on scope of protection of second medical use claims concerning Ribavirine; Biogen against Abbvie concerning Humira biosimilar. European presence and strategy: International litigation practice with offices in almost all major UPC locations – the only gap is in Scandinavia. However, it is well positioned in Amsterdam, London and Munich with powerful teams. This makes it a persistent challenger to the European market leaders and if DLA’s European teams would only present a more united front in cross-border disputes, the firm could quickly catch up. Offices in Europe: Amsterdam, Brussels, Cologne, London, Milan, Munich and Paris. Significant clients Amsterdam office: Frequent litigation for Fresenius Kabi, Merus, MorphoSys, MBH International. European presence and strategy: The team is well positioned in Amsterdam and, together with Düsseldorf and London, forms the axis of the firm’s European patent litigation business. The German team currently boasts the strongest position, followed by Amsterdam, which scores particular points for the excellent reputation of its partners in technology cases. Both teams work very closely together, as shown by their current work for Nikon against ASML. The teams in London and Munich are presently working on their own reorganisation due to partner departures (although in London there were some arrivals, too). A weak point with regard to the UPC, however, is the lack of patent expertise at the Paris office. Offices in Europe: Amsterdam, Düsseldorf, London and Munich. Significant clients Amsterdam office: Nikon against ASML/Carl Zeiss concerning semiconductor technology. European presence and strategy: The patent litigation team of this national full-service firm is well known in the Netherlands for pharmaceutical disputes but also works in the technical field. Compared to the market leaders the team remains small. Unlike other national full-service teams such as Barents Krans, ND has international patent teams in Brussels and Luxembourg, where the UPC’s Court of Appeal is located. In Germany and the UK, however, it relies on cooperation partners and will, like all patent teams in national full-service firms, encounter problems forming more exclusive cooperations in order to compete for cross-border (UPC) cases. Offices in Europe: Amsterdam, Rotterdam, Brussels, London, Luxembourg. European presence and strategy: Very present and integrated litigation team throughout Europe with a strong position in Amsterdam. Bas Berghuis is one of the outstanding patent litigators in the Netherlands. Over the past nine years he has built up a rapidly growing team of young talent, such as Mattie de Koning. The team is equally visible in lawsuits concerning mobile communications, pharmaceutical and biotech patents. Throughout Europe, however, the firm is focusing on the further expansion of its well-positioned German practice and the reconstruction of the young London team after the retirement of a renowned senior partner. The patent team in Paris is hardly visible, but Milan has a strong position in the Italian market. Offices in Europe: Amsterdam, London, Brussels, Düsseldorf, Milan and Munich. Significant clients Amsterdam office: Samsung Bioepsis against Abbvie concerning Humira; frequent litigation for ArcelorMittal, Bayer Healthcare, Hewlett Packard and Samsung. European presence and strategy: The patent practice is present at all important UPC locations with well-positioned teams and is probably one of the most important challengers to the European market leaders. The firm consistently integrates the teams in Germany, the Netherlands and London in cross-border cases for Asus, for example. While the German and London teams are already among an extended group of market leaders in their countries, the Dutch team is seen more as a serious challenger. There are gaps in Italy and Scandinavia. Unlike Bird & Bird and Hogan Lovells, the team is not integrated throughout Europe and does not have its own office in Luxembourg. Offices in Europe: Amsterdam, Eindhoven, Düsseldorf, Hamburg, London, Munich and Paris. Significant clients Amsterdam office: Asus against Philips concerning mobile communications. *Law firms and lawyers are selected based on recommendations from European patent lawyers in law firms and companies. Sources: law firms’ own data und JUVE Patent research.